I started a book a couple weeks ago called The Pursuit of God by A. W. Tozer. I’m a little embarrassed it has taken me so long to read it, since it is only 70 pages long! But I started it back up yesterday (after having had to take a break from reading since I’m so busy). The chapter I read yesterday was entitled “The Gaze of the Soul”. In it, Tozer is making the argument for what faith is. We can read in Hebrews 11, what faith does. “Now faith is the assurance of things hope for, the conviction of things not seen. For by it the men of old gained approval. Tozer isn’t satisfied with this being what faith is. Instead he states that faith is the soul looking towards God. I feel that this is very important in our lives and our worship. We must keep our gaze upon God and none others. But how can we do this? It is by placing our eyes on the prize every day. Paul often refers to his life as running a race. 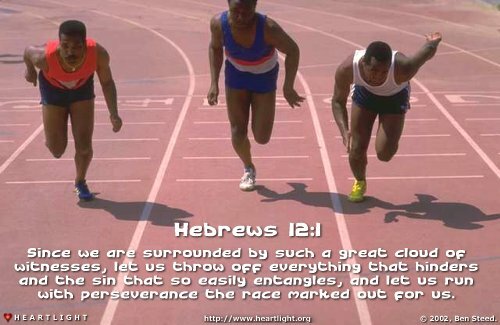 He says, “do you not know that those who run in a race all run, but only one receives the prize? Run in such a way that you may win.” (1 Corinthians 9:24, NASB). I used to run Cross Country in high school, and if there is one thing I learned it is that distance running is difficult! The thing that helps you get through that, and keep up a pace that you may win with is keeping your eyes on the prize and setting goals. Paul did this in his own life as well, “I press on toward the goal for the prize for the upward call of God in Christ Jesus.” (Philippians 3:14, NASB). In light of my post yesterday, I realized that my eyes had started to drift way from the prize. My focus had started to fail, and I need to refocus. So I began to wonder how can I regain my focus on God. And yet again I was led to Hebrews. Author PrestonPosted on December 10, 2013 Categories Christian Living, DiscipleshipTags 1 Corinthians, A. W. Tozer, faith, Hebrews, Jesus, Paul, Philippians1 Comment on Are You Keeping Focus? So yesterday, I had a Scripture on my mind all day. I woke up early and read Paul’s letter to the Philippians. There is a statement he makes, that just floored me. It took me awhile to wrap my head around such a statement. So I dug around Scripture for some time, really trying to understand this issue. To me, my family is a rather large priority. At times I can get my priorities messed up, and place them before God. So I started to question how they could be worthless in comparison to Christ, and God lead me to another passage from Paul. But I do love others. I honestly could do a better job loving you, if you aren’t my wife or children. So I didn’t quite understand yet what God was trying to piece together for me. So He lead me yet to one final place. There it was! The only reason I know how to love my family is because of Jesus! There are so many other things that come from a relationship with Christ, like salvation from my sins. But yesterday, I discovered that it is only because of my relationship with Christ, that I have the life I do, and I am so thankful for it. I can now see that it is worthless when standing next to Jesus. He is my God and my Savior. There is no higher relation to me! This doesn’t mean my family is no longer important. It just means that I have a higher priority than them. 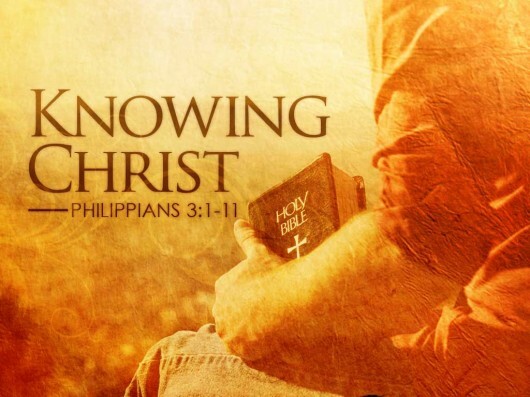 The way Paul says it in Philippians shows us that we must keep Christ at the center of our lives. He must have the highest place in our hearts for worship. Everything must pale in comparison to Christ! If this isn’t true for you, I encourage you to seek Scripture and pray for God to show you how you have given Him a lower priority than He deserves, and how to change that. Our lives are meant to be Christ-centeric, not anything else.